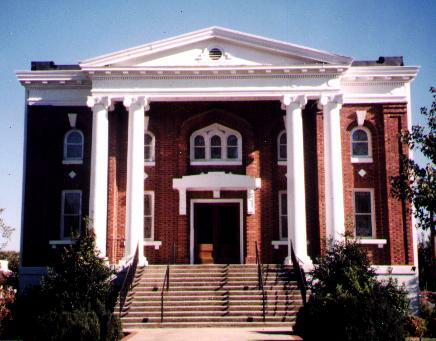 York Associate Reformed Presbyterian Church (YARPC) is a small congregation of about 100 members located at the intersection of Congress and Madison streets in York, South Carolina. York is 30 miles south of Charlotte, North Carolina. We invite you to join us in worship, fellowship, and service. Bulletin page. To get an idea of the worship services at YARPC, this page points to some recent YARPC bulletins. The worship services continue to follow the same feel and format. Guidelines for use of church property. We maintain a companion site on the Lord's Prayer. Check it out.